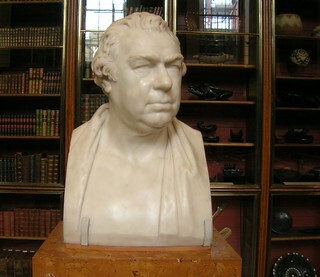 Sir Joseph Banks (1743-1820) - one of the most important figures in British horticulture of the 18th Century. Joseph Banks was born into a wealthy family of landowners in Lincolnshire; his father was also a Member of the House of Commons. Banks’ love of nature and botany started at an early age as a school boy at Eton, later he studied at Oxford University where his ambition to become the leader in all areas of natural history and in particular botany began to flourish. In 1761 Banks’ father died, he inherited an immense fortune and became the Squire and a local magistrate. This meant he spent a lot of time travelling between London and Chelsea where his mother lived; he continued to visit the Chelsea Physic Gardens and the British museum keeping his interest in science alive. During this time he began to network with other scientists listening and expanding his understanding of science. He also began to correspond with Carl Linnaeus who devised a method of plant classification for people around the world. It was these men who in April 1766 were so impressed by Banks, nominated him as a Fellow of the Royal Horticultural Society (RHS) at the age of 23. Also in April of 1766 Banks set sail on HMS Niger with an old friend from Eton, Constantine John Phipps now a navel lieutenant who was very interested in exploration. He jumped at the chance to join Banks and it is said it was he who negotiated passage with the naval vessel to Labrador and Newfoundland.